Make one Cup of Quinoa according to package directions. 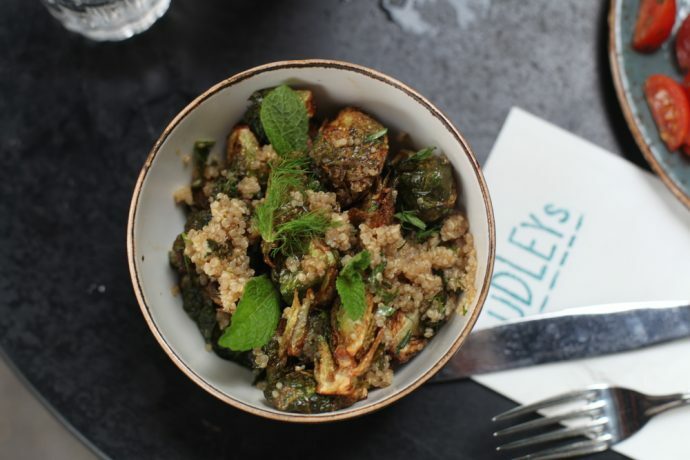 When the quinoa is finished and the sprouts done roasting mix them together, add two tablespoons of dressing and the herbs in a mixing bowl and season with salt. Pour into a serving bowl and enjoy.